Party Yourself Into Shape! LATIN AND WORLD MUSIC. ZUMBA got a program for you. 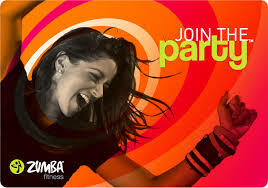 The perfect combo of fun and fitness has made Zumba® classes a world-wide phenomenon. Over 15 million people are taking a Zumba® class around the world.